Instead of purchasing additional lengths of beads, chains or pearls, think about using ribbon to make double or quadruple strands which are easily interchangeable. Simply tie into place with a loose knot that also hides the clasp. As a bonus the necklace holds in place and does not need adjusting as you move. Depending on what you already own the colour combinations of beads and ribbon are endless. 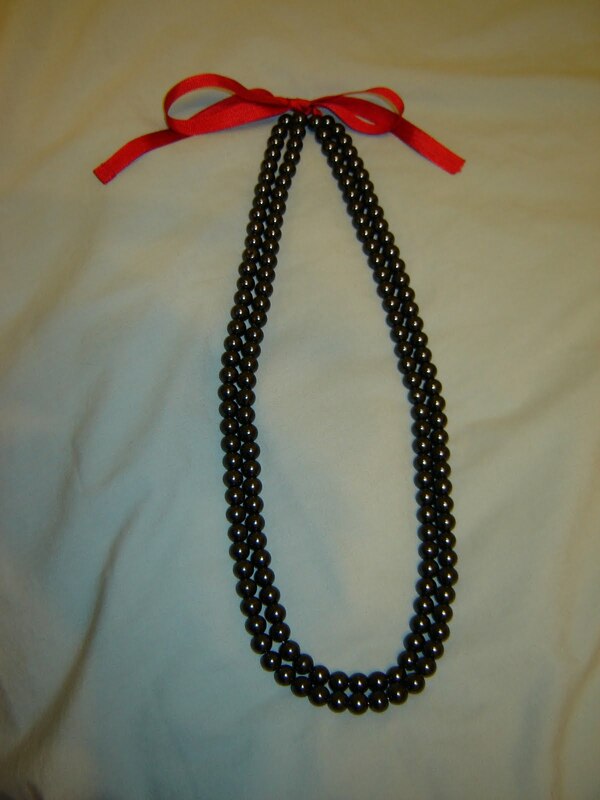 This is one long black glass pearl strand that has been doubled and tied with a red grosgrain ribbon, It can also be made into four strands that sits on the collar bone nicely.